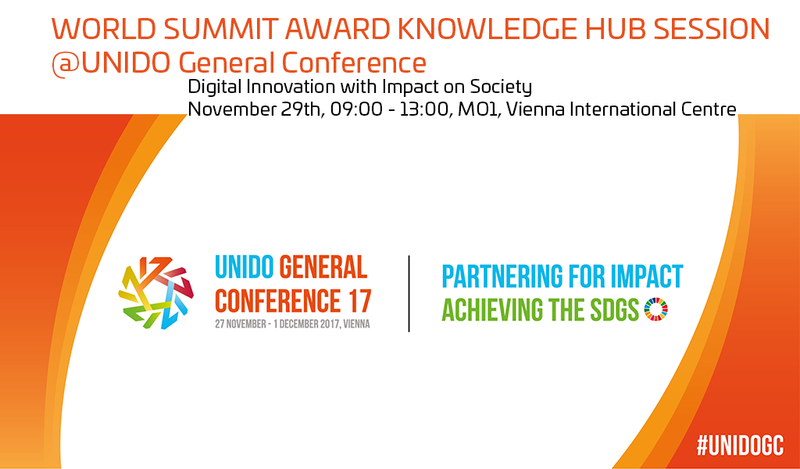 WSA has been invited to organize a workshop about „Digital Innovation with Impact on Society“ at the UNIDO General Conference. The panel and workshop will take place on Tuesday, November 29th from 09:00 -13:00 at the United Nations Head Quaters in Vienna. Young digital social entrepreneurs from the WSA network will give insights on how Digital Innovation can have an Impact on Society, followed by an interactive and less formal session in the knowledge hub. EMMA – also from Austria – a smart tool to empower and support elderly people in their homes.